WHO’S COMING UP ON MARCH 25? They’ve individually been around making music in Hawai’i and the world for years, but the newly formed “Iron Mango” band is a fresh remake of some of the original “Pure Heart” band popular about twenty years ago. 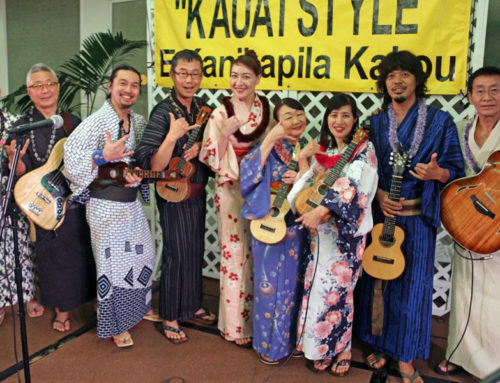 ‘Ukulele dynamo Kalei Gamiao, the connection to the younger generation, teamed up with Jon Yamasato and Lopaka Colon, original members of “Pure Heart”, with the addition of Richard Gideon, vocalist and bass player rounding out the four. It’s four musical friends from different backgrounds coming together and discovering they had a unique new sound for old and new songs. Their name, “Iron Mango” is a tribute to the late Peter Moon, Sr. They played their first trip to Molokai last year and this year to Kaua’i, their two favorite islands. No CD to date, but surely they will be surfacing with an album soon. Kalei Gamiao warmed up the audience with three original ‘ukulele numbers; he is a giant talent with intense magical fingers who has been busy touring Asia as a solo act since his first appearance at EKK back in March 2013 when he might have still been in high school. He still looks like a high-schooler but his music transcends his youthful demeanor. Jon Yamasato said their performance would be in a casual informal style, singing songs with a whole gamut of songs from the 1990’s to the present. He was surprised I introduced them as “ hot young group” because he first recorded this song 22 years ago in 1997. Bring Me Your Cup, lyrics and music by UB40, was as good today as 22 years ago. They followed with Jon and Richard on the vocals for Drop Baby Drop, by the Mana’o Company. It’s a big ‘ukulele number on ‘Ukulele Underground where Kalei Gamiao appears as a guest instructor; today this song has become a staple of ‘ukulele jam sessions world wide. Without You (I don’t know), by Mariah Carey was a completely different take. They followed this with an instrumental featuring Kalei on ‘ukulele and Lopaka starting to make some really innovative sounds on the drum set with Viva La Vida, by Cold Play, a British rock band in the 2008 album titled Viva la Vida/Death and All His Friends. Back in 1999, Jon visited Kaua’i with a group of students from University of Hawai’i where they stayed in Kalihiwai Valley, a very different place today from 20 years ago. 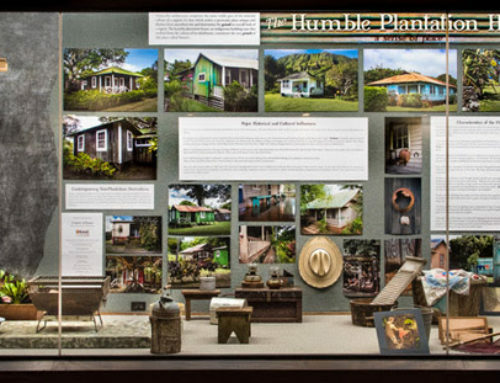 The students could speak only ‘olelo Hawai’i during their entire time on Kaua’i. It left him with a love for the island of Kaua’i. Lopaka who hails from Molokai has a deep love for his island home which is captured in Molokai Sweet Home, a tender love song for the “Friendly Isle” first composed and sung by the late Malani Bilyeu of Kalapana in 1994. The “Iron Mango” version is an absolute winner with Lopaka calling out a continuous chorus of bird calls in a style he learned from his father while accompanying Jon’s singing with a plethora of hand-held percussive instruments and his unmatched playing on the djembe, never missing a beat from the first tweet to the last cooooo; it was an incredible version ofMolokai Sweet Home and the crowd went wild. Truly a highlight of the evening! Lopaka is one of the premiere percussionists in Hawai’i. They sang a new version of Crazy Without You, which was recorded by Jon Yamasato when he was part of the original Pure Heart along with Jake Shimabukuro and Lopaka Colon. Switching it up to an instrumental featuring Kalei on ‘ukulele, Lopaka on the drums and Rich on vocals, they played a fantastic Ain’t No Sunshine, by one of Kalei’s favorites, Bill Withers, from the 1973 album, The Best of Bill Withers. Before the intermission Kalei played a short ditty on the Kamoa ‘ukulele that was to be given to one lucky person. An appreciator of the instrument, Kalei talked about the wood used, the mellow sound and other features of the ‘ukulele. The lucky winner of the instrument was a Doug from Davis, California. Jon opened up the second set with a couple of Hawaiian favorites which truly speak about Kaua’i – the sweet traditional mele, Hele on to Kaua’i, and the much-loved Koke’e by Dennis Kamakahi. Lopaka joined in with his djembe which is for him like an extension of his body; he is just so good at it. When Jon first met and worked with Dennis, Uncle was heavy into rock ‘n roll and paniolo music rather than the slack key for which he has become well known. 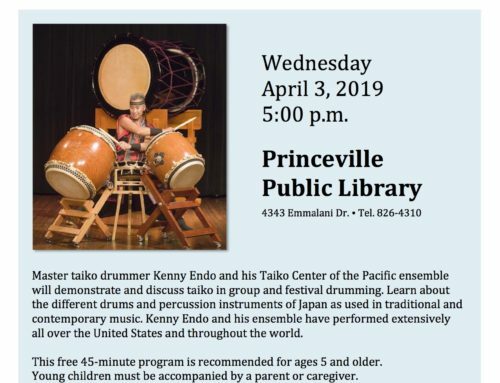 Jon is one of the few fortunates, when he was first studying music, who developed a long working relationship with Uncle Dennis as he was mentored in ki ho’alu slack key by the illustrious composer through the Ethnic Heritage Program of the State Foundation on Culture and the Arts. Richard Gideon took the lead on You Say, by Lauren Daigle; he recorded it 17 years ago with Jon Yamasato as executive producer who today is also Richard’s real estate agent. Small world. The crowd really loved the instrumentals — Separate Ways, by Journey and Just the Two of Us, a 1981 R&B by Bill Withers. Lopaka on djembe and drums, and Kalei on the ‘ukulele really takes the songs to a new level of musicality. Stepping back in time and style, the group sang a song about coconut trees, grandma, papa on guitar, and all the familiar signs of the old neighborhoods that keep their original appeal in spite of all the new developments constantly encroaching the old communities.Old Kaimuki took us back to an earlier decade captured in the old songs about Hawai’i. In 2000 composer Dennis Kamakahi wrote a song that he said was for a younger man, and since he no longer considered himself to be that younger man, he asked Jon to sing Pretty Brown Eyes, a feisty song about the pleasures of love-making. It’s a great song for anyone of any age. The band finished with one of the early Pure Heart songs recorded many years ago which sounds as fresh today as it did many years ago — How Can I Get Over. Jon on the vocals, Kalei on ‘ukulele, Rich on the bass, and the colorful Lopaka dancing all over the stage in his element, keeping the beat with the djembe. What a great evening of eclectic music from the past to the present and moving into the future, we were so fortunate to receive this gift of music. Happily, the audience clasped hands and closed the evening with Hawai’i Aloha. 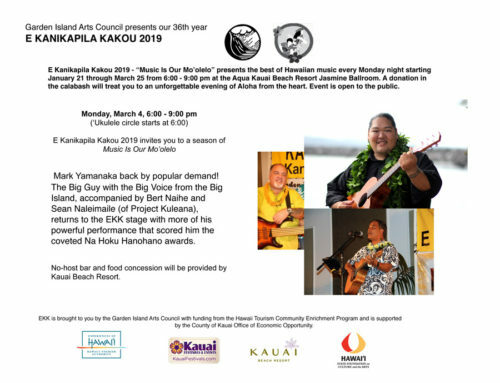 With just one more Monday to go, Hawaiian music lovers are prepping for their EKK withdrawal but at the same time looking forward to the 2020 season of EKK. It’s been a fantastic ride! 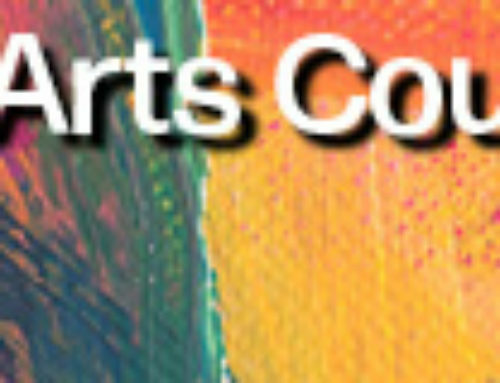 If you have a disability and need assistance for Monday events, email Garden Island Arts Council atgiac05@icloud.com.